Seventeen swimmers from Barracuda Swimming Club have met the qualifying time to represent the country next month at the Oceania Games in Papua New Guinea. The club won the Fiji Swimming Long Course Age National Championship amassing 120 gold, 99 silver and 71 bronze medals in the three-day competitions which ended yesterday at the Damodar City Aquatic Centre. The Dolphins Swimming Club was second with 86 gold, 48 silver and 41 bronze medals. Coach Caroline Puamau said the three-day event prepare swimmers for the regional and national competition. 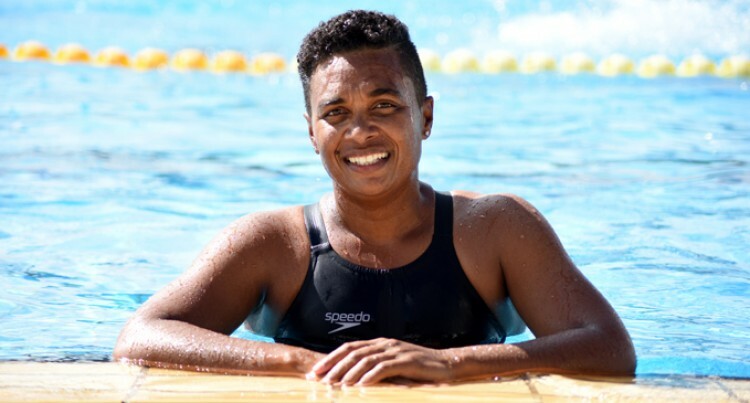 “All the swimmers that have qualified for the games in PNG will be training in their own different clubs. “Drawing closer to the Oceania Games teams will then train and camp together in preparation to their trip to PNG. Puamau said the success of the Barracudas SC was through the untiring support of family members.